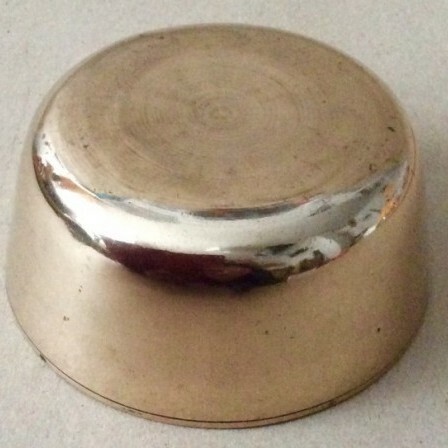 Description: Unusual small brass bowl. Heavy gauge brass similar to the Victorian saucepans but with no handle. Lovely ring turning, wear and patina. 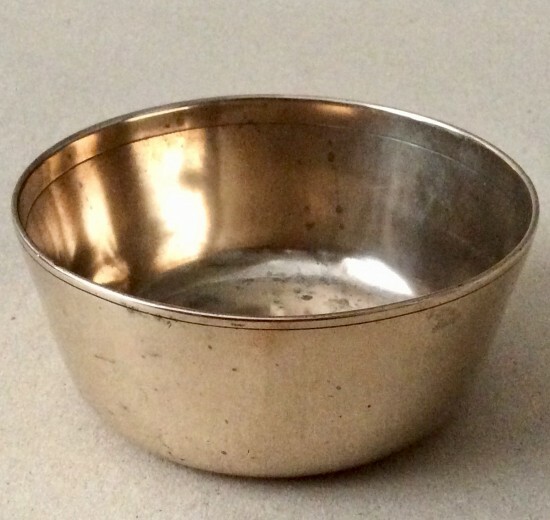 Either used as a porridge bowl or in food preparation. Would be good in any kichenalia collection. 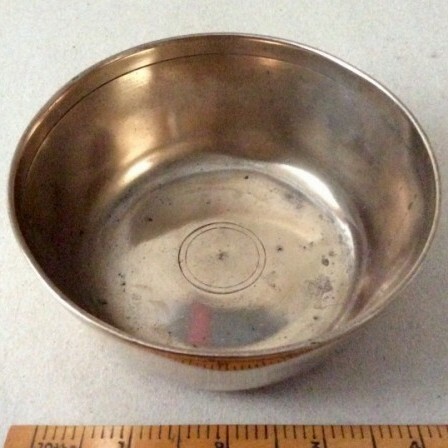 Dimensions: Diam bowl 11cm, Depth 5cm.